So, you prepared yourself, rehearsed your elevator pitch and made it to the Careers Fair but, after making the rounds, you can’t seem to find any employers related to your field. This can be the case, and perhaps it’s time to think of different ways to connect with organisations surrounding your discipline. Even if career fairs aren’t the highest priority for your industry, where else could you find an abundance of professionals ready to talk to students? You’ve heard it time and time again – networking matters, and who better to practice with than actual professionals! Plus, refining your communication skills will come in handy when you finally come into contact with the organisation you want to work for. You never know where a great conversation could lead to. ‘Who you know’ as opposed to ‘what you know’ can open up many doors that you would never expect! Sure, a quick online search can determine employers in your field, but have you ever thought about talking to faculty members in your discipline? Unit coordinators, lecturers and tutors may know the industry well and could guide you in the right direction. 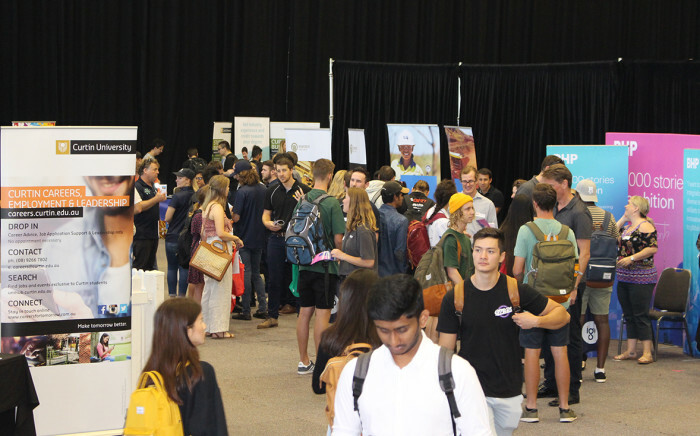 University clubs also tend to have organisational contacts or a general idea of the opportunities that are available, and they often exhibit at the Careers Fair. So check Curtin Student Guild for a list of current clubs, and get in touch. Joining a professional association is a great way to learn more about your field, the different roles you could have, and openings relevant to you. Associations also grant you access to industry professionals who are often happy to provide career support and mentoring. You should also know that student memberships are generally heavily discounted – or free! Reach out, reach out, reach out! Communication has become so much easier in this digital age, so why not take the first step? For many of us, the thought of approaching an organisational contact can be nerve-wracking, but you have to remember that there is nothing to lose and everything to gain. Research your potential contact – Google and LinkedIn are your best friends – their organisation, and industry before you send that email. Keep it short and sweet, but make sure you make it as engaging as possible. To help you build on thinking outside the fair, check out the workshops we’ve got on during Tuition-free week from Monday 25 March. There’s even an opportunity to engage with industry professionals as they discuss the dos and don’ts of graduate applications at a Get That Graduate Program Panel Event.